Transportation Minister orders construction halt for Yehudit Bridge as work expected to take place on Saturdays. Transport and Intelligence Minister Yisrael Katz decided today to cancel work planned by the Netivei Ayalon company that was to be conducted on Saturday, during the Jewish Sabbath. Katz said the Tel Aviv-Jaffa municipality's announcement yesterday that construction of the Yehudit Bridge and closing the Ayalon Highway for six weeks to carry out the work is an "outrageous and unnecessary" statement. He says the way chosen to construct the bridge seems problematic and is liable to cause serious and disproportionate damage to the general public during weekends. For this reason, Minister Katz instructed the Ayalon Highway Company that is implementing the project for the Tel Aviv-Jaffa Municipality to immediately freeze all work planned for constructing the bridge and to submit as soon as possible an alternate work plan, including during the late hours of the night. Yair Lapid responded to the decision and said, "The haredim, the true rulers of this government, ordered Netanyahu to freeze work on the Ayalon Highway. So Netanyahu of course obeyed and froze, and we'll again be stuck in crazy traffic jams. "The only government that didn't give in to their every whim was the one we set up, the only government that won't give in to them in the future is the one we'll set up," Lapid wrote in his Twitter account. Meretz announced that following the decision it would ask opposition parties to hold a special Knesset session. Meretz Chairwoman MK Tamar Zandberg found in the issue another agitation opportunity and said "in a democratic-liberal state in 2018, infrastructure work should be conducted according to needs and in a manner that is least harmful to civilians, and not to the dark whims of politicians who serve rabbis and not the public. The haredim prove how much this government keeps Israel away from liberal democracy." Yesterday Deputy Health Minister Yaakov Litzman sent a letter to Transportation Minister Yisrael Katz stating that the expected work on the Yehudit Bridge project over the Ayalon Highway on Saturday is seriously contrary to the status quo. 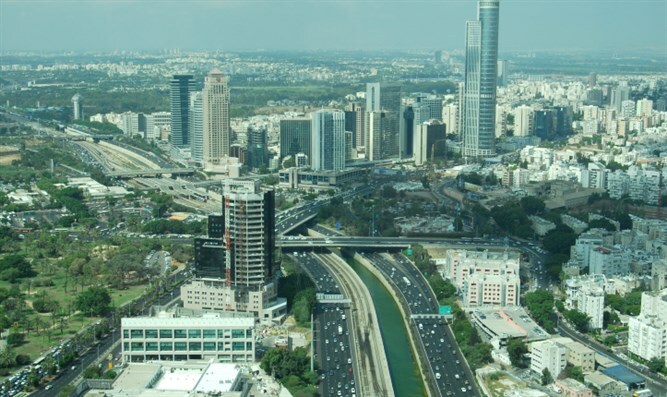 "I was shocked to see the Transportation Ministry under your leadership planning, together with the Tel Aviv Municipality and the Labor and Social Affairs Ministry, to perform work on Shabbat, for several Saturdays, as part of the Yehudit Bridge project over the Ayalon Highway." Litzman explained the Shabbat desecration harms the entire traditional Israeli public. "This is a mass Shabbat desecration that constitutes a serious violation of the status quo, severely damaging the tradition of Israel and the feelings of the majority of the Israeli public, haredi, religious, and traditional alike, who see the Sabbath as the national day of rest. This act requires a public protest, as throughout the generations the Jewish People have known to observe the Sabbath day as a sign between G-d and Israel." Litzman also stressed this is a violation of recent agreements between the Prime Minister and the haredi parties. "Beyond the fact that, as far as we know, these are not jobs with life-and-death relevance and can be performed on other weekdays, this is a violation of the recent agreement that such work will not be carried out on Shabbat. "As a minister in the Israeli government, as I know you, the values ​​of religion and tradition are important to you, so I would ask that you do everything so it will not be held on Shabbat, G-d forbid," Litzman concluded.